How to report a daycare accident in Georgia? Over the past few weeks, we have received a number of questions about daycare accidents because it’s one of our specialized areas of practice. One of the first questions we get after a daycare accident in Georgia is — How do we report it? It’s a great question because parents are understandably concerned about the next steps after a daycare injury, and it’s an especially hard time because parents also need to take a good bit of time to make sure that their child is getting medical treatment (and probably looking for another daycare too). First things first, it’s important to know exactly who is in charge of reporting and investigating a daycare injury. 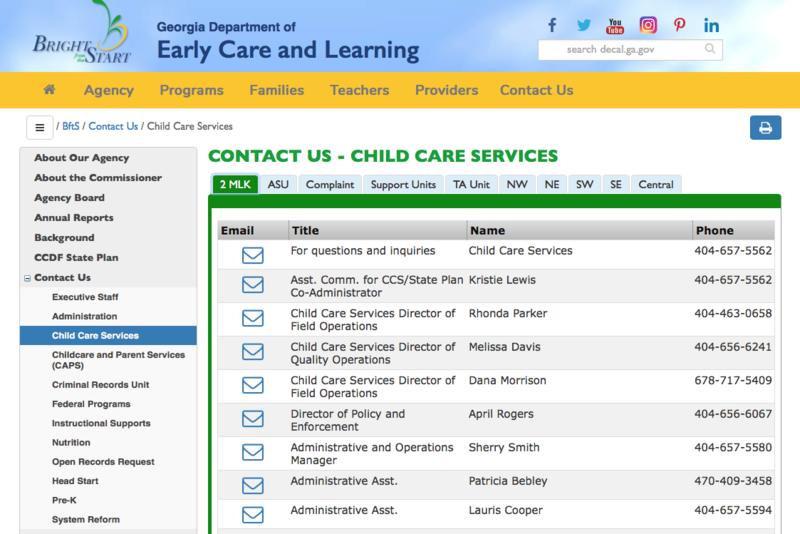 The daycare is responsible for informing Bright from the Start, which is the state agency tasked with monitoring daycares in Georgia, about it right away. But, yes, you probably guessed — It doesn’t always happen. So what should you do? Where do you go to do it? You may instinctually want to ask the daycare to investigate it, but again, it can be a bit awkward, especially considering that your child was just hurt at that very daycare. There’s an easier approach though — Get in touch with Bright from the Start. There is actually a division that handles complaints and investigates daycare injuries in Georgia. You really have two options — You can call the CCS complaint number or send them an e-mail. Both are great ways to report the incident — The investigators are professional, courteous, and great at their job! (1) Have the name, address, and contact for the daycare available for them when you call to report the incident. (2) Be prepared to give a statement to the investigators so you’ll want to have a chronology ready for them with names of employees (if you know them), as well as steps you took after you found out about the incident, such as when you picked up your child, where your child was treated, etc. Details are very important!!! We completely understand that it’s a stressful time for you and your family. Multiple calls about the status seem helpful at first glance because it shows you care, but it actually slows down the process because it will take time away from the investigative process. Sure, there are times when you may need to follow-up, but do try to limit the calls to new, pertinent information about the incident, like a companion police investigation. 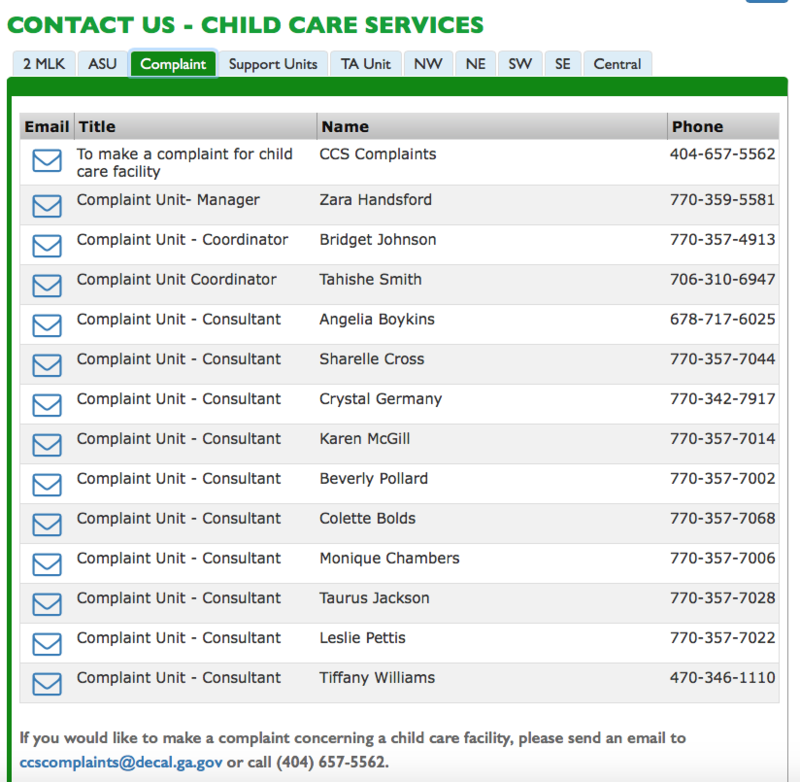 We hope you found this information helpful about daycare investigations in Georgia. As a parent, I truly understand the headache when you learn that your child has been hurt in a daycare accident. Feel free to give me a call if you have any questions about this process — We’re here to help. My number is (404) 566-8964 and can be reached at Kevin@patricktriallaw.com. Thanks for reading our blog! !